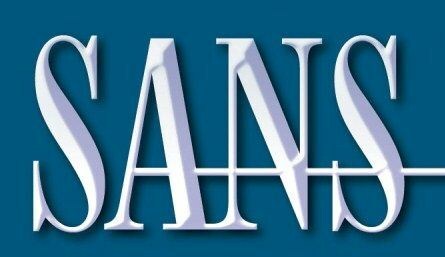 ANS SEC660: Advanced Penetration Testing, Exploits, and Ethical Hacking was created as a logical progression point when you have completed SANS SEC560 Network Penetration Testing and Ethical Hacking, or for those with existing penetration testing experience. Students while using prerequisite knowledge to look at this course will walk through dozens of real world attacks employed by the most seasoned penetration testers. The methodology of the given attack is discussed, accompanied by exercises in a real life lab environment to solidify advanced concepts and enable for the immediate putting on techniques in the workplace. Each day carries a two-hour evening bootcamp to allow for additional mastery in the techniques discussed sometimes more hands-on exercises. A sample of topics covered include weaponizing Python for penetration testers, attacks against network access control (NAC) and VLAN manipulation, network device exploitation, breaking away from Linux and Windows restricted environments, IPv6, Linux privilege escalation and exploit-writing, testing cryptographic implementations, fuzzing, defeating modern OS controls including ASLR and DEP, Return Oriented Programming (ROP), Windows exploit-writing, plus more!